"Wimps and posers, leave the hall!" A new metal supergroup is born, with vocalist Sean Peck, guitarists Ross the Boss and Stu Marshall, bassist Mike Davis and drummer Rhino. 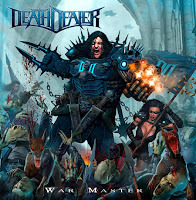 The band's called DEATH DEALER and they are Very Metal. Well, what would you expect from a band that features former members of Manowar, Rob Halford, Lizzy Borden and Cage - easy listening pop? I may be a wimp or a poser for saying this, but listening to "War Master" is a very heavy experience. The band isn't an extreme metal band, their music is pretty traditional Heavy Metal, somewhere between Manowar and Judas Priest, but somehow listening to this album is like taking a serious beating. The songs are rather monotonous and unmemorable, but I guess the biggest culprit is still vocalist Sean Peck. His performance is so uncompromising and intense that I can't bring myself to listen to the whole album from start to finish at once. Make no mistake, he has the pipes as the Queensrÿchian ballad "Children Of Flames" proves, he just chooses to sing at FULL FORCE for the rest of the album. I can almost see the veins in his forehead bulging. There's not much room for light and shade, it's just WHHHHAAAAAHHH.... I guess that's a recommendation to some of you, and I'm happy if that's how you like your metal. Yes sir, there's no wimpy keys or sing-along melodies here, this is just about as metal as metal can be. I'll get my coat. 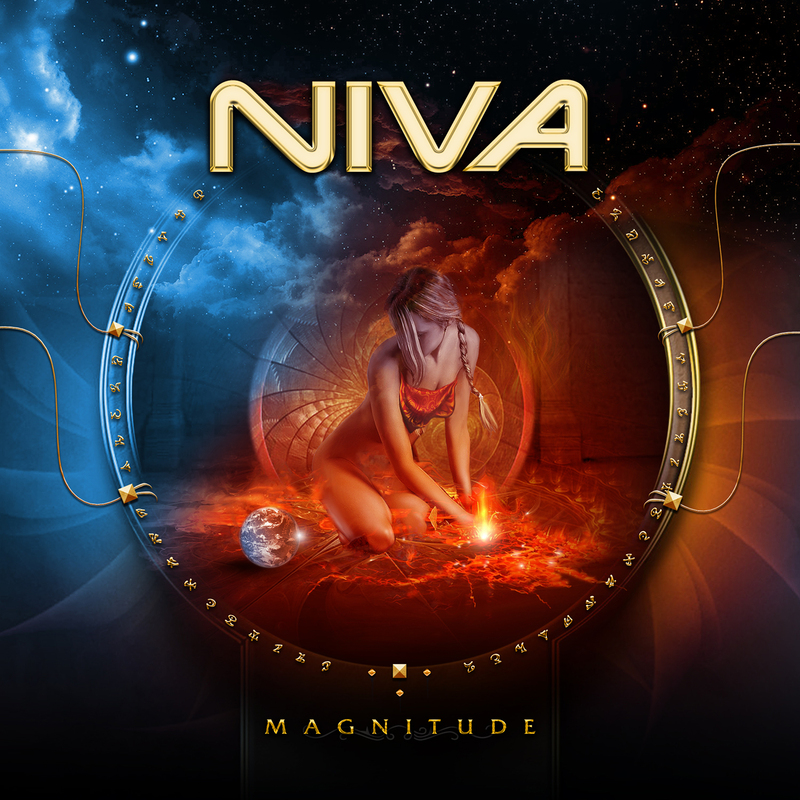 Last year Swedish singer Tony Niva released an album under the band name of OXYGEN, and now he's back at it with NIVA. I guess he ran out of oxygen... to make things more confusing, I can tell you that the Oxygen album was actually released a year before in Japan as a Niva album. I liked the Oxygen album but the lack of real killer songs meant that I haven't listened to it after having written the review. With new albums arriving on an almost daily basis, that's what happens to many albums which are just "good". 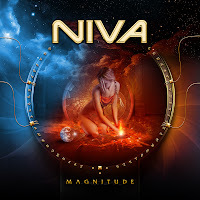 "Magnitude" has already gotten more spins than its' predecessor, and I'm pretty sure that a song or two from this album will remain in my personal powerplay for quite some time. Sometimes I wonder what it is that they put into the water in Sweden, because these Swedish songwriters just seem to come up with endless amounts of melodies and hooks. Is it some kind of Abbacteria? Whatever it is, Tony Niva and his collaborators Roger Ljunggren and Marcus Persson are seriously infected by it. Compared to the Oxygen album, this one sounds a bit harder-edged, but at the same time the melodies are catchier. The spirit of ABBA is definitely alive in these songs. Just listen to "Always Somewhere" or "Do It Again" - if those aren't influenced by the songwriting of Björn and Benny, I don't know what is. The standout track of the album isn't one of the most Abbaesque songs though, it's the opening track "Never Too Late". It's just one of the most shamelessly, gloriously pompous and bombastic tracks I've heard lately, and the chorus is pure ear candy. 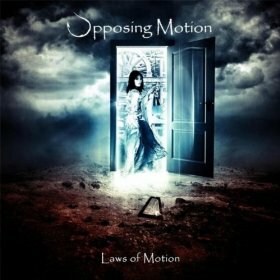 This Birmingham (UK)-based band is signed to Lion Music, so it comes as no surprise that their music is progressive metal. So you'll get plenty of long, complex songs with virtuoso playing... not exactly my cup of tea, but I do hear a lot of promise. Take the first real track "Forever's Edge" for example - somehow the band's way of working with melodies reminds me a lot of latter-day Lillian Axe mixed with Kamelot. It's not the first song only, both of those comparisons pop up on the other songs as well. Not a bad thing at all, especially when the band does have a style of their own, the influences are subtle and possibly coincidental. I wouldn't be surprised if they hadn't even heard of Lillian Axe. What else? Well, Vocalist Ludo Desa has a fine voice, too bad it's somewhat buried in the mix. Despite there being no keyboard player in the band, the keys are featured heavily, and add a lot of nice textures to the songs. Should the band find an extra dose of memorable melodies to their next batch of songs, who knows where they can go. 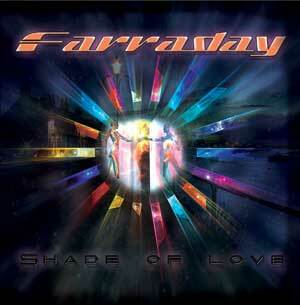 Yet another project from Frontiers Records' assembly line, with the usual suspects behind the songs and the music? 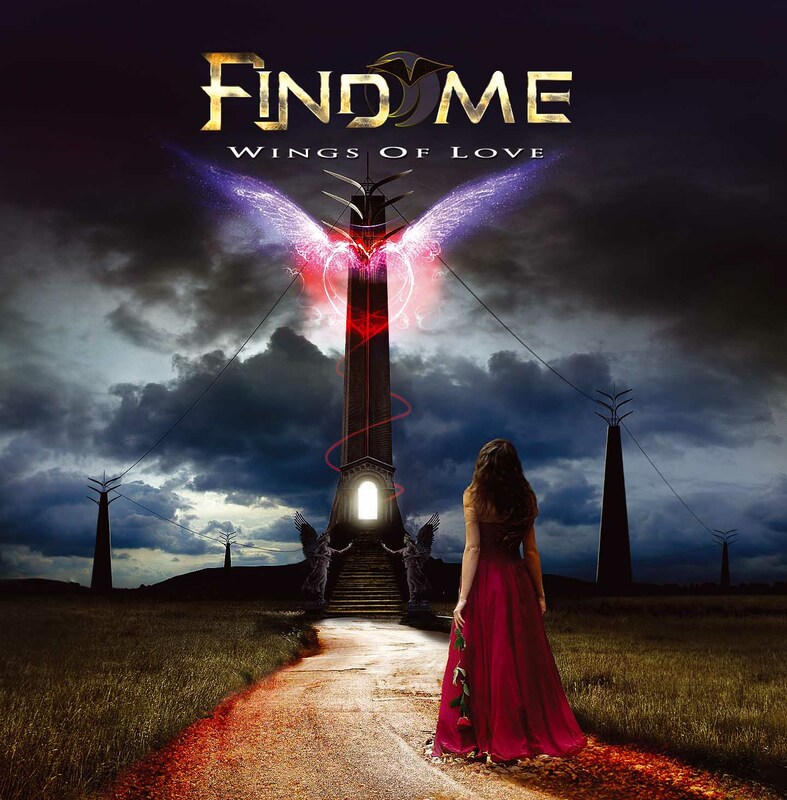 Okay, the name in the album cover could have been Khymera, From The Inside, Over The Edge, Sunstorm or one of the more well-known singers in their rooster, but nope, Frontiers wanted to put together a new project. The result is the strangely named Find Me. It is built around vocalist Robbie LaBlanc (Blanc Faces) and drummer/producer Daniel Flores, with songs provided by the reliable songsmiths of the Frontiers Empire. More of the same from the assembly line? Yeah... but you know what? As long as they've got songs of this quality, Frontiers can release as many of these projects as they like. Besides, this album might just have the best production of them all. 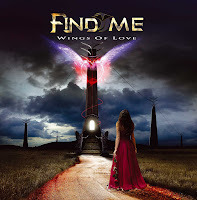 Flores has added some "modern" touches to the album, but otherwise "Wings Of Love" has a rather classic AOR sound, I'm thinking of bands like Survivor or Journey here. Each of the dozen tracks is enjoyable and I especially like the fact that most of them are uptempo. The only ballad "Eternally" is actually my least favourite song. It's not a bad song at all but somehow it sounds a bit too much like "an AOR ballad by the numbers". Then again, the Frontiers army of writers (Kronqvist, Mårtensson, Del Vecchio, The Martin brothers among others) have come up with plenty of goodies to compensate for it. You might already be familiar with the video track "Road To Nowhere" and its' explosive chorus, but there's more: "Another World" is an intense, hard-edged AOR song, while the more mellow "Dancing To A Broken Heartbeat" has a nicely uplifting, Journeyesque chorus. Then there's "Fireflight", "On The Outside" and especially "One Soul", all top-notch songs... the Def Leppard-like "Unbreakable" isn't far behind either. The first notes of "One Way Ticket To Hollywood" are actually your ticket to 1986, as Greek melodic rockers Farraday sound uncannily like an indie AOR band of that era. They've got the flashy guitar solos, sweeping keyboards and bigger-than-life snare drum sounds... the somewhat "echoey" and hollow sound does give away the fact that they didn't have a major label budget or an experienced producer to work with. When it comes to the songs, Roy Da Vis (voc/gt/kbs) and Stathis Spiliotopoulos (drs/ bs) have come up with 10 likeable tracks along the lines of early Bon Jovi, Aldo Nova, Surgin and the likes. My favourites are "Breakin' Down" (I'm always a sucker for "Runaway"-like keys) and "Can't Wait On Love", but none of the songs are too bad. What really keeps me from enjoying this album more are the vocals. Roy Da Vis has a decent voice, but I just can't stand his nonchalant singing style. It's as if he's trying way too hard to hide a possible greek accent by slurring the words. The accent stays hidden all right, but one cannot really comprehend all the lyrics. For the next album, he should really concentrate on being more articulate and less "cool". "Ride To Live" is a very suitable opener, anthemic and catchy in a decidedly German way, reminding me of Human Zoo, Bonfire and Axxis. I'm not so sure about the almost cookie monster-like backing vocals though. "Forever Now" takes a couple of steps towards power metal, while "Halfway To Heaven" has a bit of a Fair Warning-vibe. Great chorus, but what's wrong with the backing vocals again? Some drunken pirates screaming there if you listen closely, very strange. "Can't Stop The Rain" is a pretty classy power ballad in the finest 80'ies fashion, followed by a fastpaced Acceptish track "Don't Get Me Wrong" (rather average) and more melodic "Dust To Dust" (good). Next few tracks are unfortunately quite bland, riff-based rockers with hints of AC/DC and early Gotthard. 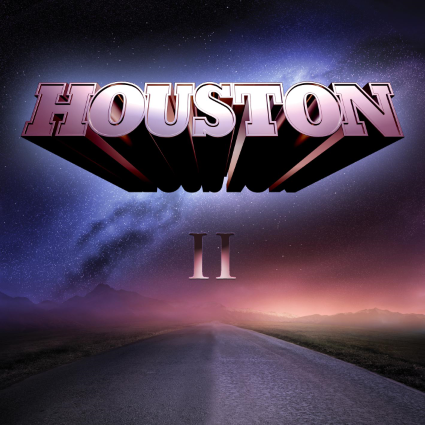 The Bon Jovi-like "In Your Eyes" sees the band returning to a more melodic style, but "Drive Me Crazy" takes them back to the AC/DC'ish format. The band has chosen an eighties' pop cover to close the album. I admit I have a soft spot for rocked-up pop tracks, but Shannon's version of Bronski Beat's "Smalltown Boy" just doesn't work. Maybe it's because I never liked the song to start with, I don't know. 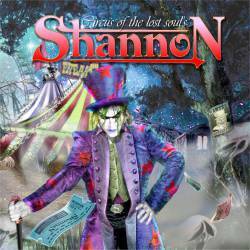 The melodic, hook-driven side of Shannon's material could be the band's ticket to the A-list of Euro hard rock, with the standard accadacca riffage they'll probably remain mere local heroes. But what do I know, Airbourne are duplicating the AC/DC sound to a tee and they're well on their way to stardom. Australia's answer to Finland's Sturm Und Drang! Yep, Mystery was formed in 2010 when the guys in the band were only around 12-13 years old. Now they've reached the mature age of 15+, and their first album has been released. When I learned that the band consists of teenagers, the first reaction was to take their age into consideration in this review and cut them some slack. I decided not to, because they're now in direct competition against any other band and it's the music that counts for most record buyers. 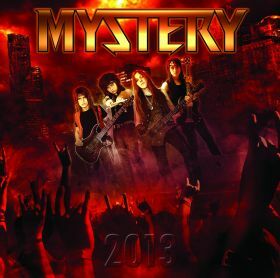 The music on this album isn't too bad, but compared to most recent releases of the genre, Mystery aren't quite ready to rival the big guns. I've checked out some live clips of the band, and they certainly put on a good show. If I were on a festival with them in the line-up, I'd definitely go and see them. They haven't managed to capture their energy to the record though, there's a certain cloud of sloppiness that casts a shadow on these recordings. The band's strongest track is the uptempo "Freedom" which reminds me of German rockers Mad Max and their 80'ies material. "Nonstop To Nowhere" and "Test Of Time" have decent choruses, but I can't say I'm too thrilled of the rest of their material. And the two covers... Dio's "Stand Up And Shout" is too big a song for vocalist Rocky Ravic even though otherwise the version is ok. The Men At Work cover "Land Down Under" then... well, just imagine Accept beating the song to death! I usually like rocked-up versions of pop songs, but this just doesn't work. The better songs of the album show that Mystery might evolve into a good hard rock band, but when it comes to the whole album, maybe it's been a case of "too much, too soon".